Almost a week without posting makes me feel like I am missing out on all the fun. Can't believe February is over and gone. Makes me wonder why so much always gets packed into such a short month but I am relieved that all the projects have been completed and deadlines met. So, "Hello March! Let's get going!" Yep, this month is definitely another kind of busy, filled with travels, workshops and visits and you can bet I am looking forward to the change of scenery. Oh yes. Taking small breaks throughout the work day is vital for everyone. You've probably noticed it just by peeking your head outside for 10 minutes or taking a walk with a colleague. One thing I find most invigorating is lunch. I can't do without. I guess it stems directly from my childhood when my mom would pick us from school for lunch. She had nothing against cafeteria meals but she enjoyed taking the time to do it. It was nothing fancy really but breaking away for an hour also meant picking up a new book at the library, getting more stickers at the book store, stopping by the bakery for a treat. A little fun in the middle of a long work day. Always a treat when you are a kid. Or an adult. Funny thing is that in my family a savory tart is also the meal of choice for any exhausted traveler. Whenever we go home, I know our first meal will be my mom's quiche Lorraine with a salad and my dad's shallot vinaigrette. Whenever they come visit, there is quiche ready for them to get a quick bite after a long day of travel. How did it come to be this way? I don't know. It's tradition. And you don't mess with tradition. Well at least no this one, ehehe. I can't believe I'll be in L.A on Wednesday and Seattle on Sunday! If you are registered for any of the workshops, well, "thank you" in advance and I can't wait to meet you! There are some tweet-ups/meet-ups being organized as I write this so if you are interested, the best thing is to check my Twitter feed (@SweetTartelette) or any of the (crazy - awesome - fun) gals who will be showing me around town this week: Rachael (@fujimama), Jen (@jenjenk) and Gaby (@WhatsGabyCookin). Since I know it's going to be pretty tight to get any major post in and to avoid a major "post travel" blog post, I thought I'd do quick and fun entries throughout the weeks. Capturing the moment. I have never been to any of these cities so I figured it'd be fun to post quick accounts of things that strike me. 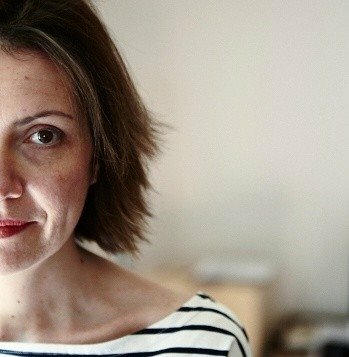 Landscape, people, food, the macaron and photography workshops, whatever... I am looking forward to it all and everything in between. In a mixer, whip together the butter and mustard on medium speed until light and airy. Add the egg yolks, one at a time and beating well after each addition. Mix until incorporated. Add all the different flours, and the xantham gum and mix briefly. Dump the whole mixture onto a lightly floured (use more rice flour) board and gather the dough into a smooth ball. Flatten the dough into a disk, wrap it in plastic wrap and refrigerate for an hour. When the dough is nice and cold, roll it out on a lightly floured board or in between two sheets of plastic to fit your prefered pie pan. (I went with rectangular this time) If the dough tears while you roll or/and transfer into the pan, just patch it with your fingertips. Line the dough with a piece of parchment paper, fill with pie weights or dy beans and par bake for 15-20 minutes until completely done. Remove the weights and parchment paper. At this point you can refrigerate the baked crust for up to 5 days if not using right away or freeze it for up to 3 months. Heat the oil in a large sautee pan over medium high heat and cook the onion until translucent (about 3-4 minutes), add the Swiss chard and cooked until wilted. Remove from the pan and set aside to cool. In the same pan, quickly sautee the slices of prosciutto to get them nice and crispy. Remove from the pan. In a large bowl, whisk together the eggs, milk, salt, pepper and nutmeg. Layer the onion and Swiss chard at the bottom of the crust and slowly pour the egg mixture over it. Top with slices of prosciutto and crumbled goat cheese. Bake for about 30-40 minutes or until the tart starts getting golden brown and the custard is cooked. Spinkle with freshly chopped thyme. Dans le bol d'un mixer, battez le beurre et la moutarde pendant 2 minutes. Ajoutez les jaunes d'oeufs un a un, tout en melangeant bien apres chaque jaune. Ajoutez les farines sans gluten, le sel et la gomme de xantham. Melangez brievement et verzes le contenu sur un plan de travail. Ramassez en boule et metter au refrigerateur pendant une heure. Prechauffez le four a 180C et positionnez une plaque au milieu. Etalez la pate sur un plan de travail legerement farine (farine sans gluten de preference), ou entre deux feuilles de papier sulfurise. Foncez en un plat a tarte (rectangulaire ou rond), mettre une feuille de papier sulfurise dans le fond, et des pois/riz. Faire pre-cuire 10-12 minutes. Sortez la tarte du four et laissez refroidir. Prechauffez le four a 180C. Dans une grande poele a feu moyen, faites revenir l'oignon dans l'huile. Ajoutez les bettes et cuire jusqu'a ce qu'elles apparaissent fanees. Retirez de la poele et faites-y revenir les tranches de prosciutto. Laissez refroidir. Dans un grand bol, melangez les oeufs, le lait, sel, poivre et la pointe de muscade. Repartissez les oignons et bettes au fond de la tarte. Versez dessus le melange oeufs/lait, parsemer des tranches de prosciutto et de fromage de chevre. Faites cuire 30-40 minutes. Parsemez de thym frais a la sortie du four. Homecoming food traditions are lovely! Every time we get back from somewhere, my boyfriend's Austrian mum makes us soup with beans - nothing like a bit of familiarity after the excitement of travel. Oh my golly... this looks fantastic! I can't wait to make the crust! It seems simple enough! Mmmm, and I can't wait to put in different fillings. Caramelized onions and goat cheese doesn't sound so bad, haha. Looks so good! I've seen a few tarts prepared in a dish shaped like this and I really like it. Seems like a great, versatile shape for a lot of things. I can never ever EVER go without a meal... I get cranky, haha! 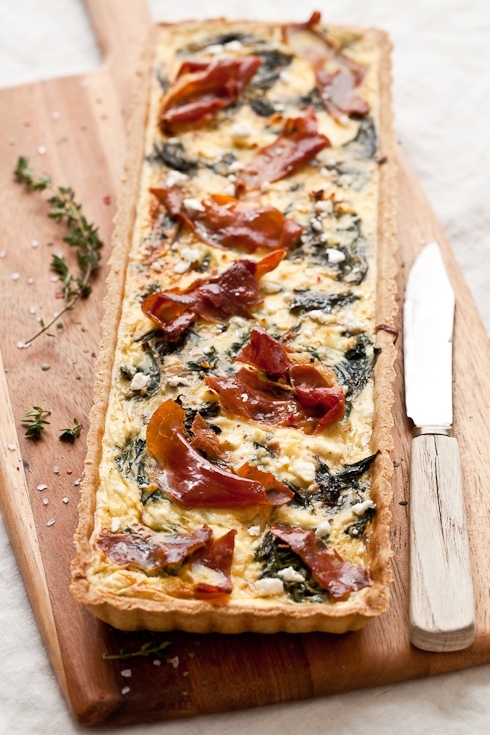 This tart looks fabulous and fairly simple. I love that you used a rectangular pan... the more crusty edges, the better I say! mmm... this looks so incredibly good, i love that it's studded with huge pieces of prosciutto and chard. Helene, hopefully all is well with your family in spite of the terrible weather in Europe. I'm enjoying the look of this tarte, it's very elegant yet a very comforting food. Oh that looks so good! And I'm in love with the pan! Such a gorgeous tart! All the best in your coming travels. Can't wait to see the updates! Few people can make food look so consistently beautiful and I don't doubt so consistently delicious. Stunning as always, my dear. While I'm sure any person would be delighted to nosh on goodies that you've stocked up in their fridge, I think B would rather have you there over all that lovely food any day :) Safe travels, hon. Have a great time. oh good god, woman! you're freaking amazing. I cannot wait to eat with you this weekend. we need to start making lists of everything we're going to bake together, okay? I second Shauna's comment. You are freaking amazing. Love the colours of that last photo. Have a great trip. I'm looking forward to your travel posts. Any tradition this delicious is worth keeping. Happy travels westward--I can't wait to see what you and Shauna get up to in the kitchen! Oh my gosh, these photos are tantalizingly gorgeous. And it sounds divine too. That looks good. I love how the tart looks. I can live on recipe like this..
this is a great recipe.. I bookmarked it. You should come around to Australia for a workshop one day, Helen. It must eb amazing to have you around here. Your tart looks gorgeous and I am thrilled that your crust is gluten free. Thanks! How sweet of your mom! my former boss never, ever took lunch breaks and was probably the most stressed out and quick to explode person i have ever met. there is something to be said for balance and breaks. looks delicious! I have started making Swiss Chard savory tarts this year as a new way to feed chard to my children. They love it! Will definitively try this one as well soon... Especially if you are happy with a GF crust. I am always looking for new crust recipes! Bonne escapade dans l'Ouest americain! Oh. Wow. YUM! Must try! And as always, your photos are also YUM! oh this looks so fabulous! Thank you for posting the recipe! after seeing your flickr pics I have been happily awaiting this post! I cant wait to try your crust! I so want a slice of that gorgeous tart right now! The tart and the pictures are beautiful. I might even give the gluten free crust a try because it looks so wonderful! 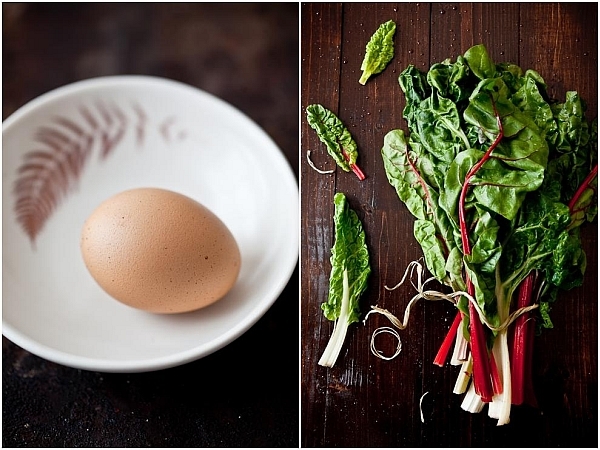 Swiss Chard is my favorite tart ingredient. I am a tart lover, torte lover, etc. I would love to see that shallot vinaigrette recipe of your dad's. Hope you have a wonderful trip. That looks quite good! Lovely tart and it does indeed make the perfect lunch. i am drooling at my desk and soo hoping for lunch time to come faster! these are amazing pics and a great recipe! I completely agree that taking small breaks throughout the work day is essential. I don't know how I'd get through work without lunch break! I always look forward to it. The tart looks amazing--I love sweet tarts, so I'm excited at the prospect of savory tarts! This looks delicious - except for the goat cheese part. I really, really don't like the game/goat/barn flavor in goat cheese. Is it just me? Am I buying the wrong kind of goat cheese? Any recommendations? This looks absolutely delicious I cant wait to try this out!! It looks like a very filling dinner meal!! Love it in the long tart pan and not the round one!! Oh, Helen! This tart looks right up my alley. If only I could bake! But it looks so delicious that I just might try. I love the story about your mom picking you up for lunch. It took me back. The year I was in 3rd grade, while my mother was recovering from lung cancer, the school allowed me to come home for lunch (alarmingly, we had to petition to do so). I loved those lunches. I'd run the 3 blocks home, eat something warm and wonderful, and Mama would read Ramona the Pest or Stuart Little aloud while we ate. It centered me for the rest of my day. As always, your photos are brilliant. Have fun in sunny California! Throughout my school life my mom would never miss a day bringing warm tasty food for lunch..I never realized how precious that was untill I went out on my own n thr was no lunch ready waiting..
Will definitely try the recipe..
You have fun travelling but come back soon, will be waiting for your next post. i am having a tapas party soon & this would be perfect! enjoy your travels & have wonderful experiences @ the workshops...i am jealous!! any plans for a nyc workshop? Linda: sun dried tomatoes would work really well. You could use bacon or cured ham also. french bistro fare is something i could have everyday. so casual, so homey, so comforting. the prosciutto puts it over the top for me! just wonderful! What a beautiful crust! I came up with a good pie crust, but never gave the tart crust much effort--looks like you made a real winner though! I may have to give this a try. The whole thing looks delicious. This is so pretty, and I suppose it is a sort of quiche, no? I want a pan like that now. THis looks absolutely great. I love your photos, and proscuitto is always amazing! This looks too delicious for words! 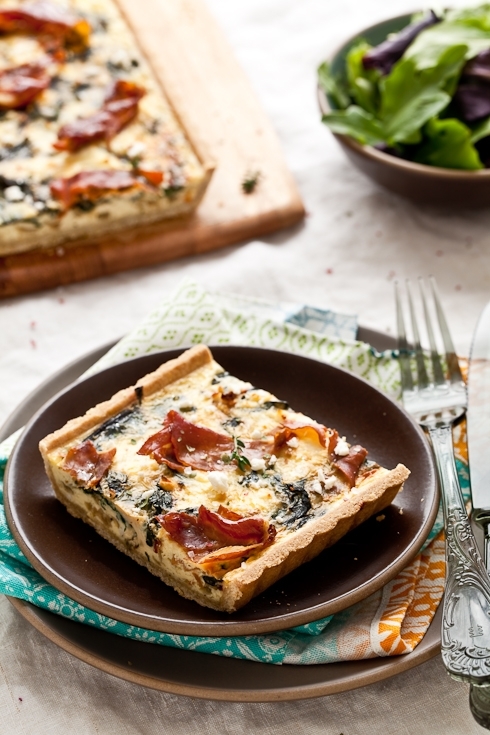 Are your parent's recipes for quiche Loraine and shallot vinaigrette posted? Beautiful photos and styling. The recipe looks delicious too - I will have to try it! That tart looks delicious - I love the prosciutto on top, it would be so delicious and crispy. Carmelized onions and goat cheese sounds very inviting.The crust sounds alot simple,its lovely recipe.thanks for sharing. That looks almost too delicious for words! So many great ingredients. How lucky to be able to go home for a home-cooked lunch as a child. I couldn't leave school for lunch until my senior year of high school when I had both permission to leave campus at lunch and a car in which to leave it. I am planning my very first trip to Paris later this year and you are making me look forward to typical French lunches! I'm making this tonight for my Girl's Night :D We have a Vegetarian and an Onion allergy in the group, so I will be making 1 sans Prosciutto and substituting the onion in the other for shallots. I'm not brave enough to try this crust though,..will be using mine :) SO EXCITED!! Stella: could be, yes. It all depends on how true to form and tradition one wants to be. Oh my gosh I have to try this recipe! I tried something similar at my favorite french restaurant in Salem "LaCapital" Yumm! Your tart is beautiful and mouth-watering!! YUMMY!! Simplemente delicioso! que aspecto tan rico tiene, las fotos son una preciosidad. Un saludo desde Madrid! looks so good-- i love anything with dark greens!! how do you decide which combo of GF flours you will use for different purposes? do they have different properties, or is it flavor-based? there are so many types, i wouldn't know how to begin! have a wonderful trip--seattle is lovely!! What a beautiful tart. Your photos are just amazing. I just bought a tart tin so I will be making this on the weekend. Thank you for sharing the recipe. Holly: you can click on the RSS feed button in the welcome box or simply click on the "suscribe by email" bar. Major YUM! I would love this for breakfast, lunch or dinner. Can't keep up with you on twitter, you seem to be always coming and going. :) Great to see you so busy! Have fun in your travels! Looks beautiful -- anything with goat cheese immediately goes on my "must make" list. So stunning. 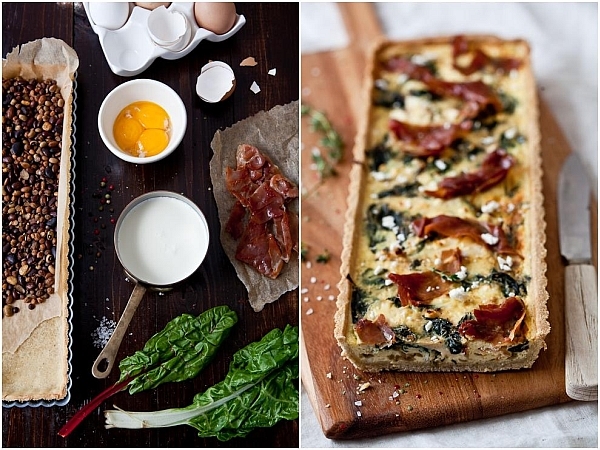 I have all this in the fridge - what a wonderful brunch it would make! I made this today and it was DELICIOUS! Loved the bit of dijon in the crust. What a wonderful addition. Taking the rest to share with my co-workers tomorrow. Thank you for all your wonderful recipes! Couldn't gather the dough together with only 3 egg yolks for moisture. It was like dry sand. Had to add ice water. I wonder how it will come out? L: that is odd indeed. As far as the result, I couldn't say since I have never had to add water to it but I am guessing that if you added up to 60ml you should be ok.
That looks insanely good. Anything with the words "goat cheese and tart" HAS to be delicious, right? Oh yum. Really really yum. I love all of these ingredients. This looks simply divine and has my mouth watering and I've only just had lunch!!! That recipe looks absolutely fantastic- I may need to make it this week since I have so much goat cheese! I can't wait to try this gluten free crust. It looks delicious!! It looks absolutely fantastic! I love this kind of dish and the photo is lovely! I have made this moist and very tasty tart tonight. I used Clotilde's whole wheat olive oil crust (http://bit.ly/FT9wO), the flavors blended very well together. I added a little grated some aged goat cheese to melt on top of the creamy one and the prosciutto. It was heaven! Hi, I would love to make this but is there a substitute for xanthum gum. I also plan on using regular AP flour in substitute for all the other flours, is that ok? Thank you so much. I cannot find the tapioca starch. Would potato starch be a suitable replacement, and if so should I use the same amount? I'm excited to make this next weekend for a gluten free friend. I'm wondering if I could make the whole thing the night before and reheat? Maybe that wouldn't work with the ham? I am going to make two, as one friend is vegetarian and put small roasted tomatoes in the second. Thank you!